The timeless four-door, three-box shape of the midsize sedan class is what most of us associate with the word “car” and for a great reason. Midsize sedans provide us with the perfect balance of comfort, handling, performance and safety. The low center of gravity, medium-length wheelbase and isolated trunk provides exceptional cornering ability, superior smoothness and low interior noise. Combine that with the standard and interior technology for which the segment is most popular and you have a recipe for timeless success. 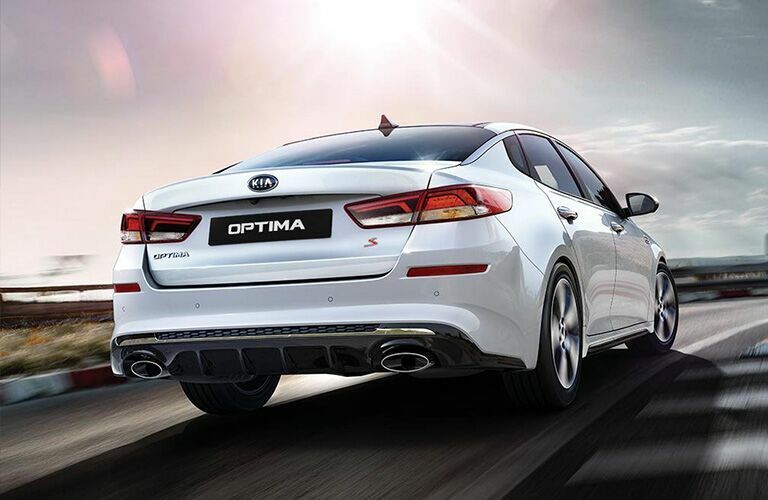 The Kia Optima has spent much of its life as the “dark horse” option in this class. 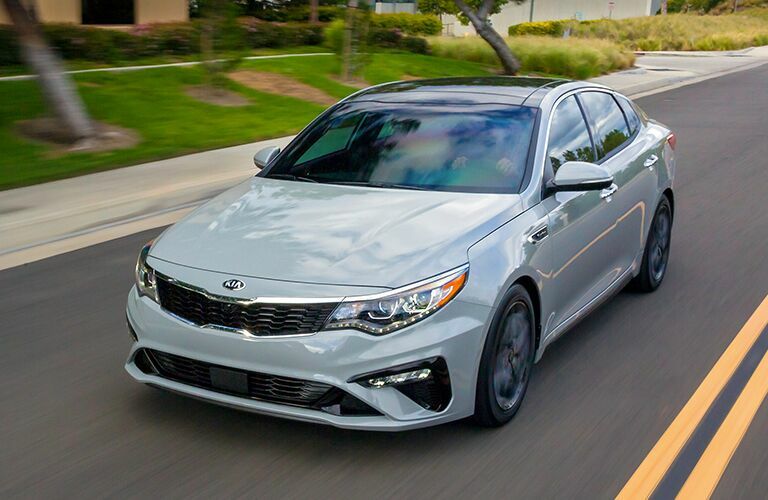 No longer living in the shadow of the class mainstays, however, the 2019 Kia Optima is sportier, safer, smarter and smoother than any other midsize sedan. For 2019, Kia has given the midsize Optima standard UVO infotainment and advanced driver assist systems. You won’t find a more well-rounded vehicle anywhere. Safety and Entertainment Technology Abound in Kia's Thrilling Midsize Sedan! Kia’s reputation for giving you more for less continues with the 2019 Kia Optima. From the base model LX up through the luxuriously-appointed SX model, drivers will enjoy several standard safety and infotainment features reserved for top trim levels or luxury lines from other manufacturers. For infotainment, Kia’s responsive and highly-regarded UVO infotainment system is standard across all trim levels. 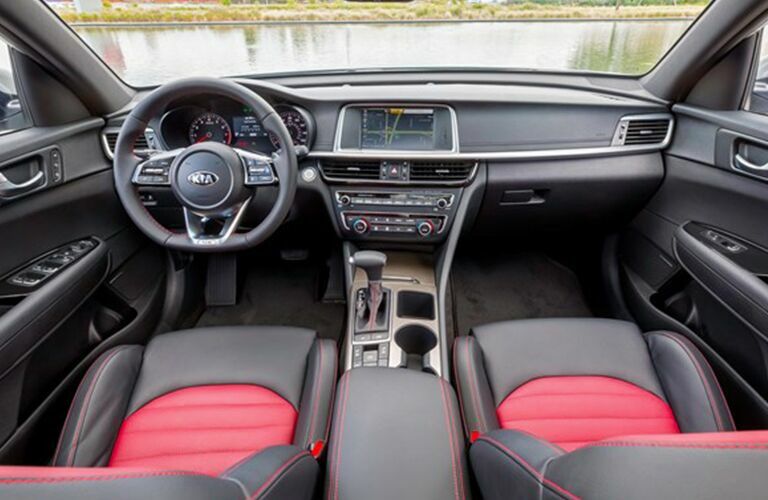 Giving you access to Apple CarPlay and Android Auto smartphone synchronization tech, the 2019 Kia Optima makes it easier than ever to enjoy your favorite smartphone apps, navigation and messaging through a familiar interface and the distraction-free, 8-inch touchscreen. Perhaps the most generous feature of the 2019 Kia Optima, however, is the standard Advanced Driver Assistance Suite, a collection of safety features that uses sensors, radar, cameras and computers to keep you safer than ever before. From the base model up, you’ll get standard Lane Departure Warning (LDW), Lane Keeping Assist-Line (LKA-L), Driver Attention Warning (DAW), Forward Collision Avoidance (FCA), Rear Cross-Traffic Collision Warning (RCCW), Lane Change Assist (LCA), Park Distance Warning (PDW) and more! Your 2019 Kia Optima is looking out for you. The 2019 Kia Optima is here at Boucher Kia of Racine. With some of the best pricing and highest inventory in Southeast Wisconsin, you’re more likely to find your 2019 Kia Optima model and get it for a great price right here at Boucher Kia. 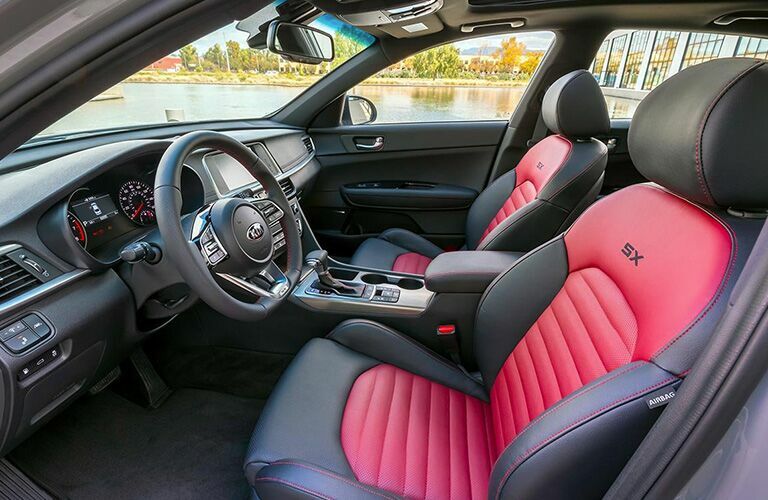 Contact us today to schedule a test drive with the 2019 Kia Optima!